Providing open, honest and transparent advice on injury prevention, posture correction, fitness and wellbeing. 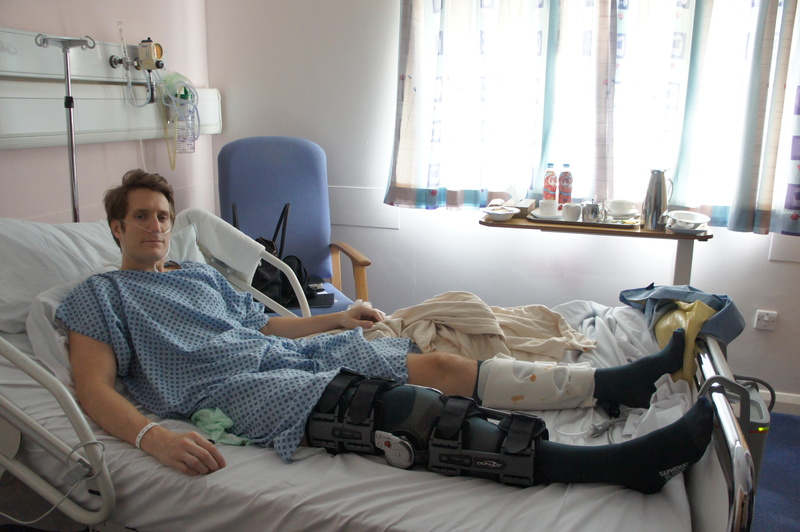 Welcome to my knee recovery blog where I will be taking you through my journey from injury to recovery in a series of blogs. Please feel free to contact me if you have any questions or feedback. To find out how my guidance and training can benefit you, feel free to visit my business page Norris Wellbeing & Consulting. My purpose for doing this is born from my desire to help others who find themselves in a similar situation as I, and may not know what to do. I must state at this point, I am not a surgeon, nor am I a physio, sports therapist, physical therapist, psychologist, chiropractor or osteopath. However, I am a fully qualified personal trainer specialising in injury prevention and posture correction. Therefore, my opinions and statements within this blog series are those of my own and born from my knowledge gained through education and first hand experiences. It is vital that before undertaking any form of exercise following a surgical operation that you gain clearance from your surgeon and/or sports therapist etc. For me, the decision to release this blog was not an easy one by any stretch of the imagination. Due to the nature of my work, I worried that the publication of this surgery could have negative connotations among both future and existing clients/followers. However, as I have already seen speaking to clients, fellow health practitioners, friends and followers, there is a good understanding that while we work to reduce the potential for injury, in the absence of divine intervention we can never guarantee its complete absence – boooo! 1) to highlight the psychological ups and downs before, during and after surgery/re-habilitation. 2) to raise awareness on choosing the correct surgeon for your needs. 3) to provide an education on the surgery itself and your choices. 4) to build your understanding on many different topics involved in this journey from injury to recovery. 5) to build trust among my fellow health practitioners in addition to existing and future clients/followers who find themselves undergoing similar knee surgery. 6) to give my experiences on what approaches worked best for me in both a physical and psychological sense. 7) to give ordinary people like myself a ‘go to’ place to help answer the common queries leading up to and following on from knee surgery. I hope you find this blog series useful and I would love to hear your feedback regarding thoughts on the information and your experiences – click here to contact me. Thank you for your time and happy reading! « What is Gerdy’s tubercle? Gain instant updates of all latest blogs direct to your inbox! Click to follow my blog and receive notifications of new material via e-mail. I promise there will be NO ads!